NEW YORK -- More than sixteen thousand runners will get the news they've been waiting for, today: They've been accepted into the 2017 TCS New York City Marathon through the New York Road Runners' non-guaranteed entry drawing. Over 98,000 applications were submitted for the available slots, An increase of twenty percent from a year before. Approximately 50,000 runners are expected to finish the 2017 TCS New York City Marathon, the premier event of New York Road Runners, which takes place Sunday, November 5th, 2017. "Today is the beginning of a thrilling race journey to the 2017 TCS New York City Marathon for tens of thousands of runners from across New York City's five boroughs, throughout the country, and around the world," said Christine Burke, director of runner products and services at New York Road Runners. "We are honored to welcome these runners into the 2017 TCS New York City Marathon field, and look forward to supporting them as they embark on an experience of a lifetime en route to November 5th." The 2017 TCS New York City Marathon field will be made up of both guaranteed and non-guaranteed entrants. The application period for both guaranteed and non-guaranteed entries opened on January 17, 2017, and closed on February 17, 2017. March 2nd also marks the opening of the official charity running program for the 2017 TCS New York City Marathon. Runners can get in by registering to run with one of more than 350 official charity partners who utilize the event as a critical fundraising platform, or with NYRR Team for Kids, the TCS New York City Marathon's largest charity. Team for Kids raises funds to support NYRR's free, year-round youth running programs and events across the country. "We are excited to launch our popular charity running program today that benefits hundreds of significant causes throughout NYC and around the world, and to encourage participation in our very own NYRR Team for Kids charity," said Michael Rodgers, vice president of development and philanthropy at New York Road Runners. 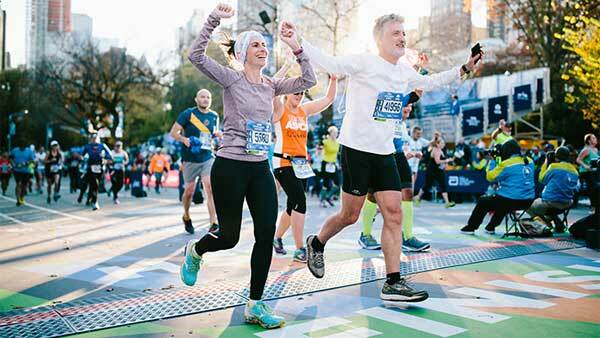 "Our inspirational charity runners, who raised a record-breaking $36.1 million at last year's TCS New York City Marathon, represent the giving spirit and passion of the global running community. We are grateful for and proud of their efforts, which have resulted in $235 million raised for the official charity running program since its inception in 2006." In 2016, 9,000 charity runners raised $36.1 million during the marathon on behalf of hundreds of not-for-profit organizations in New York City and across the nation. More than 215,000 youth are served nationally through NYRR's free youth running programs and events, including 115,000 in New York City's five boroughs. Those who win entry via the general-entry drawing today will find out in three ways: first, their credit card will be charged the entry fee, then an alert will be posted in their 'My NRRR' account. Finally, an email will arrive confirming acceptance. The 47th running of the TCS New York City Marathon is set for November 5, 2017. Learn more about Drawing Day at tcsnycmarathon.org.